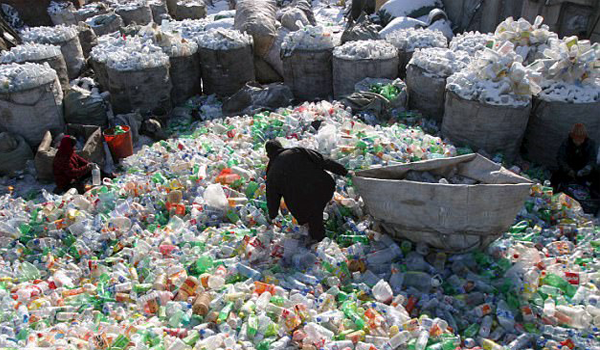 Plastics have been an environmental and cultural issue for decades. The late Frank Zappa and the Mothers of Invention inveighed against “plastic people.” Calling someone plastic denoted artificiality. I noticed plastics or, more specifically, the glut of plastic waste in the environment, was a theme of many events during the recent celebration of Earth Day. It’s apt because as we discovered last year when the new recycling regime took effect in unincorporated Polk, there’s a whole lot of plastic that is unsuitable for anything but being buried in the hills of the North Central Landfill. The solution, as I and many others have pointed out, is in part to buy fewer plastic throwaway containers in the first place. I use the term “throwaway” rather than the industry sanitized term “single-use” to more accurately describe what’s really going on. But plastic is pretty hard to escape these days. I recently bought a television for my mother after her aging television quit working. I expected the frame and the legs to be plastic, but there was also plastic wrap around the legs for no reason I can think of except to sell more plastic. She has since died and I took her TV to replace a 15-year-old set I had that was beginning to fail. I disassembled the old set and pulled out what recyclables I could, which consisted of the circuit board and the metal around the vacuum tube. The working parts of the television were encased in a two-piece plastic dust cover. There’s no place to recycle that kind of plastic. It seems, according to a recent presentation on recycling before the County Commission, that the chemistry used to make these plastic cases and a lot of other stuff also has created a situation where the products are difficult, if not impossible, to recycle into another product. This creates a large waste stream that often becomes litter. I often see discarded televisions that have been cannibalized of their circuit boards, leaving only the tube and the plastic casing, along roadsides all over the county. Pointing out a problem is often much easier than crafting a solution. I support plastic bag bans, though I realize there’s no political support in many places to enact them. The best solution is for people to take personal responsibility. Start with using reusable bags for larger purchases such as groceries. For smaller purchases, consider whether you need a bag at all. Also, there are unnecessary products, such as bottled water contained in flimsy plastic bottles that are unrecyclable in the current market. Another waste stream that causes concern is excessive packaging, which is not only annoying because of the difficulty in getting to the product you bought, but because the packaging is not recyclable locally. Sierra Club and other environmental organizations have been working on this issue. There are campaigns all over the world to deal with this issue.